That's my band (ring) code I have assigned from both The American Budgerigar Society (A.B.S.) & The Budgerigar Association of America (B.A.A.).. This code was first assigned to me by Libby Tefft who was Secretary of A.B.S, when I first joined the society in 1979. Since I support both budgie societies in our country you may find my birds banded with either A.B.S. or B.A.A. bands. Special Thanks to Bilal Erdem from Turkey who designed our logo. The hobby comes first in my eyes.. Politics is WAY down the list.. I have wonderful friends in both Societies and admire the way many people elected to office are making a genuine effort to get the Societies working together for the overall benefit of the hobby.... After all, if they follow the wishes of the vast majority of the combined memberships... We just want to breed better budgies, show our birds, and enjoy the camaraderie of those we meet along the way. This is a wonderful hobby. After 55+ years it still brings the challenges we all face day after day. And it puts us in touch with a great group of people, from countries all around the world, who share the same interests. I hope you enjoy it as much as I do. 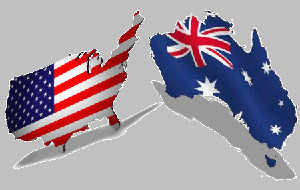 After nearly 40 years years in U.S.A. some folks call me the Aussie Connection as I still keep in contact with breeders downunder.